So what happens when you set out for your ride, and you don’t get what you’re expecting? Maybe your horse feels stiff from your last ride, so he’s a little hollow or dull to your aids. Maybe he’s been stuck inside due to the polar vortex, and he’s hopping around and feeling fresh. Or maybe a new horse was introduced to his field and he’s feeling a little anxious because the dynamic of the herd has changed. When this happens, I try to avoid jumping to conclusions. So many people think: he’s just being obstinate, or he doesn’t like me, or he hates working on transitions. But in reality, it could just be that you need to find a different way to ask for things. 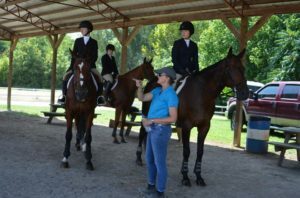 Our job as rider (and hopefully the leader of your herd), is to bring out the best in our horse and help turn each session into a “win” for both parties. 1). Give your horse a job. So many times when horses are acting nervous, distracted or way too full of energy, we become smaller and try to soothe the horse by asking for less. For some horses that may work, but I truly believe that a horse that’s well-employed and mentally engaged is one that will perform his best for you. Once they are focusing on you, they tend to forget the other things that were bothering them. Plus, it burns calories – a horse that’s been cooped up for a couple of days usually just needs to move around to balance out his energy. If you can keep him mindful of you and your aids during this time, you should have your calm and willing horse back in a few minutes. 2). Slow down. Say your horse is having trouble doing solid walk to canter transitions. It’s better to go back to walk to trot transitions and make sure those feel easy and comfortable before attempting the faster gait again. You can accomplish more by dropping down in difficulty. Work on reinforcing the things he can do well, and he’ll be more willing to try the things that are not confirmed yet. You will also be able to feel your own position better and make sure it’s correct when you are going through things more slowly. 3). Break it down. If your horse seems tense or anxious, make sure you take small steps. For instance, if I am riding a horse who’s counter canter could improve, I’ll work on haunches out (at the trot or walk) or turn on the forehand to reinforce the lateral pieces of it. Once the horse is more responsive to my aids for those movements, I can help him better through the ends of the ring (usually the toughest part of executing counter canter). Understanding the building blocks to certain movements and exercises is important. Working with a trainer who can walk you through the hows and whys of each exercise will help you improve faster. 1). Give yourself a job. An idle mind is the devil’s playground. It’s easy to become overwhelmed when you have a long to-do list. Sometimes that leads to analysis paralysis, in which you can’t make a decision and you sit, waiting for inspiration to strike. Why do you think so many of us are procrastinators? When my day is full and I can actually point to the tasks I have completed, I feel so much more satisfied. Keep your head down; keep working. Stay on task. By the way, burning calories is one of the best ways to feel better and less overwhelmed, so keeping forward momentum works in the literal sense, too. 2). Slow down. There’s a saying I like to use: “Never time to do it right, always time to do it twice.” When you rush, you aren’t doing your best work. Getting things done quickly is always a good goal, but attention to detail matters, and you need to take the time it takes to get successful outcomes. Put another way: Slow is smooth. Smooth is fast. Being methodical and taking your time can actually make the work go a lot faster. Also, remember that paying attention to yourself (your health, including sleep and mental wellness) will have big payoffs in terms of productivity and positive outlook. 3). Break it down. How do you eat an elephant? One bite at the time. Instead of looking at a project as one big, hard-to-accomplish job, break it down into smaller tasks, so you can quickly see and feel your progress. Address the basics, and put all the pieces together to accomplish big things. 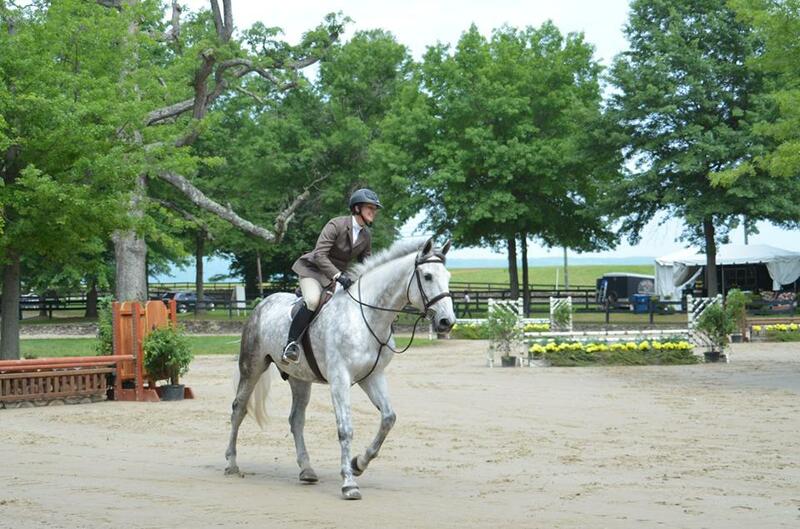 Riding teaches problem solving skills, and those skills help us in other areas of our life. If you cultivate your Trainer Brain, you can make the most of each ride, even those days when your horse isn’t meeting you halfway.